Line Application is a new program that helps deliver text messages, voice & video calls and enables unlimited communication at no limit. The Line app is an exclusive application that is being used by over 450 million audience and also ranked as the #1 most downloaded apps in 52 countries like thailand, japan, chiana, spain, hong kong, indian, mexico, Russia e.t.c. And I know it would soon rank well in Nigeria and most african nations. Where can I download Line app for my device? Download Line App for Androids here. Download Line App for iPhones/iPads here. Download Line App for Blackberry here. Download Line App for Windows here. Download Line App for PC (Windows 8) here. 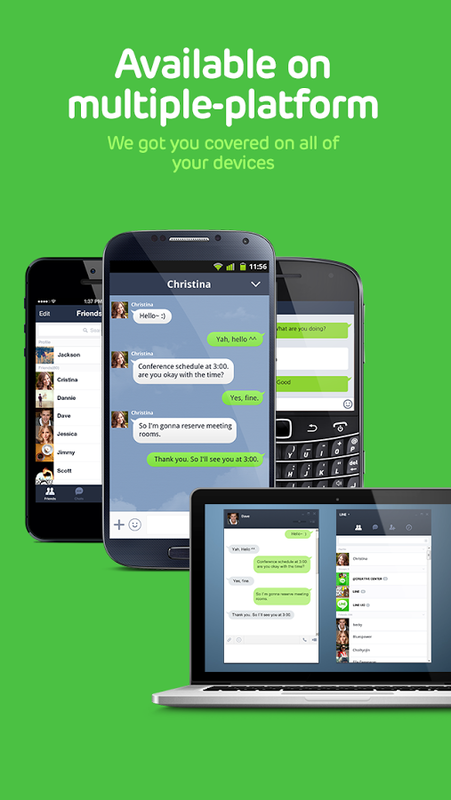 Download Line App for Nokia (Asha, etc.) here. Download Line App for PC or Desktop here. I'd recommend you share this information to your friends on social network with the help of the share buttons below. This app is very useful to you and your friends because with it, communication becomes easier and better at no cost. If you do encounter any problem or bugs with the app on your device, please do let us know, and we won't hesitate to refer the issue to the app developers. Don't forget to like our facebook page and also follow us on twitter.